UK-based Renovagen has been doing some exciting work in the field of portable solar, with commercial-scale portable solar power systems utilising their ‘rapid roll’ technology recently deployed at Flat Holm, in the UK. They’re also working on rolling out (sorry) this technology on a much larger scale – their “Rapid Roll I” will fit in ISO shipping containers and could be a complete game changer in terms of commercial-scale portable solar power. Flat Holm is a small island in the Bristol Channel, five miles off the south Wales coast. Traditionally, providing electricity for it has been a ‘challenge’, according to Flat Holm team leader Natalie Taylor. It has no mains supply and the island has been using old solar panels and diesel generators. That’s where Renovagen came in – their “rapid roll” roll-up solar panels are providing an average of 11KW of power – enough for four residents and visits from tourists. The system includes batteries capable of storing 24KW/h of power, which is about a day’s worth of the island’s energy requirements. This is a fantastic and cost-effective interim solution until they decide what the optimal choice for Flat Holm’s electricity generation will be. John Hingley, Renovagen Managing Director, started work on this scaled-up mobile solar technology in 2012. It’s now the leading UK startup in commercial-scale portable solar power systems. They fully funded a £1,000,000 equity investment pitch via the UK crowdfunding platform, Crowdcube, in April last year – to help the speed up the development and go-to-market costs of their “Roll-Away” rapid roll portable solar systems. The company had hoped to raise £600,000 in equity funding so this was a great result. Rapid Roll Overview Video Presentation Sept 2016 from John Hingley on Vimeo. The Renovagen Rapid Roll “I” is one of the most exciting of their products – currently under development, this portable solar power solution will come in an ISO (International Standards Organization or intermodal, i.e. 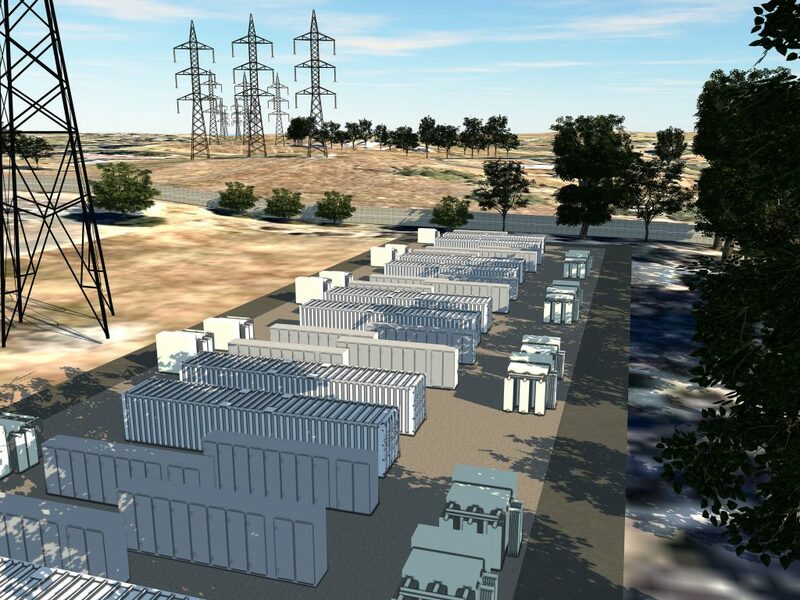 a standardised size) shipping container and can provide enough power (depending on how technology goes, this could be up to 600kWp, according to Renovagen) for a small city. The idea of mobile and portable industrial size scale solar power one is extremely exciting and it has a lot of potential uses. The Rapid Roll “I” will fit in 20ft ISO or 40ft ISO containers and will be able to deploy 5x200m and 10x200m of solar panels respectively. 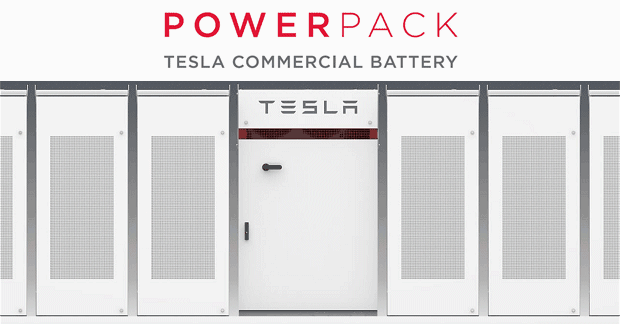 It comes complete with inverters and a large battery bank (specifics not available yet). There are many uses for commercial-scale portable solar – off grid power in remote locations is extremely expensive and complicated to set up. Military, disaster relief, mining, construction, events, film production, and telecommunications are all situations where this ‘container solar’ idea could provide a huge help at a cost-effective price. 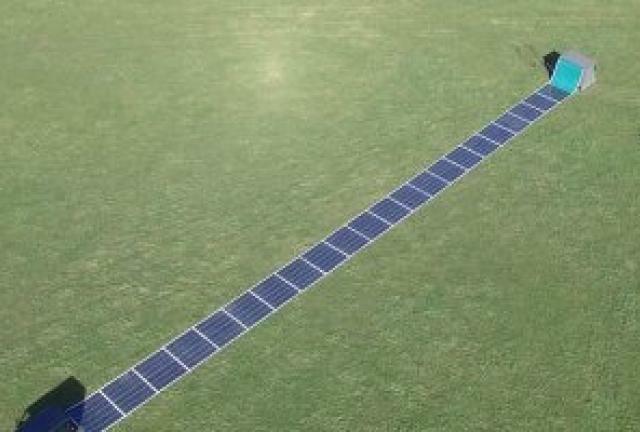 This is one of the biggest breakthroughs in portable solar of the past 10 years – so we’ll see what happens in the wake of Flat Holm and keep you updated. Very exciting stuff for solar! Maverick by 5B – a prefab, low-cost solar array.